A walking tour in Battambang city! 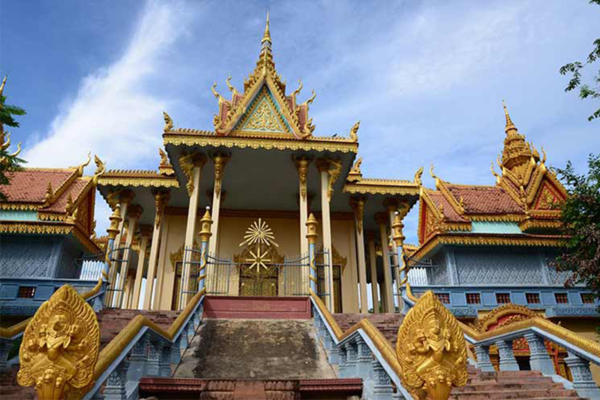 With our tour, visitor will get a chance to explore Battambang’s fascinating architecture such as, history, and culture, which has been shaped by Khmer, French, and Chinese influences. We will also take you to numerous places of interest and explain its historical and cultural significance to the development of Battambang. This walking tour bears sentimental value for many of us at Butterfly Tours, as it is one our oldest and most beloved tours. Many of our guides have grown up or lived in Battambang for a long time, so rest assured you will be in great, knowledgeable hands while on this walking tour! Our walking tour begins at Phsar Nath, Battambang’s central market. 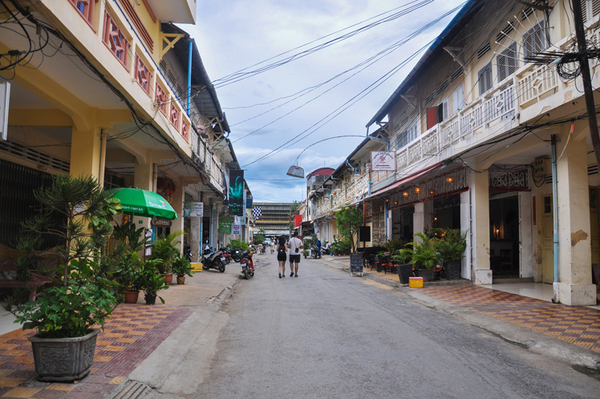 Then, we will walk towards some of Battambang’s most well-known architectural structures, including the National Bank and the shops along roads 1 and 1.5. Your guide will highlight the interesting mix of Khmer and French architecture—a reflection of Battambang’s rich, eclectic history. As we walk past Battambang’s famous Ta Dumbong statue and the Old Bridge, your guide will lead you to a pagoda, where you will be able to observe locals going about their day to day lives.